Liferay is an excellent fit with our business strategy, allows for rapid application development and offers a great return on investment. SW2 is the ICT Shared Service for the three south Worcestershire councils: Malvern Hills District Council, Worcester City Council and Wychavon District Council. They support approximately 1000 users through their Customer Self Service Portal, and about 120 traditional client server business applications. SW2 has adopted a self-service view of business, putting the customer first and making end-to-end interactions fully available online as much as possible. Their strategy is to consolidate on and migrate to a web-based infrastructure, basing as many applications in the browser as possible. This has led to the implementation of more open source software applications and tools. SW2 has limited resources and a small development team who decided it was worthwhile creating their own middleware systems to link web applications to back office systems. Internally, they had three different intranet solutions (SharePoint Server 2007, SharePoint and traditional CMS), and different methods of application development. They required an intranet solution that offered a portal as well as a development environment on top of a CMS. Externally, they sought a solution which would help them achieve their self service goals and also offer the development base they needed. The SW2 team evaluated SharePoint, Alfresco and MindTouch, but none offered everything required in a single offering, or fit the ICT Strategy to move to open source solutions and to provide self service to users. Liferay met these requirements and was chosen to replace SharePoint. With Liferay Portal EE, SW2 appreciated the availability of support and training as well as the large user base. Setting up Liferay Portal was very easy, and it allowed SW2 to quickly replicate the sites and features they had in SharePoint. The built-in applications enabled them to quickly set up sites for teams, and sped up the migration to Liferay. Using Linux running on VMware servers and a MySQL database made it easy to take snapshots before upgrades or deploying solutions. The service areas using Liferay picked it up right away, and the standard look and feel was much preferred to that of SharePoint. Liferay offered the CMS, development environment and portal server needed to run the Customer Self Service Portal while providing a consistent interface for the public. 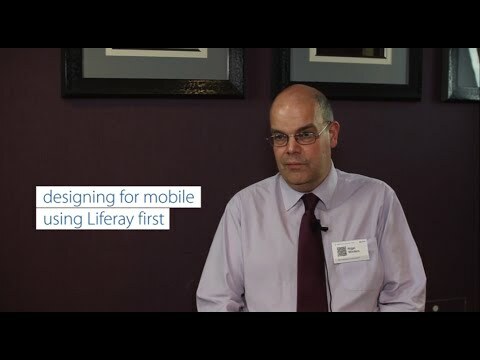 The applications developed in Liferay are helping the councils to accelerate the channel shift to online applications and speed up interactions for both customers and back office staff. This is now reducing the need for costly face-to-face, telephone or written interactions. Internally, the ROI has been much greater than using SharePoint and, after moving to Liferay Portal, SW2 now has a single system and a central place for employees at the councils to find information and work collaboratively. Much of the data the councils hold, as well as some of the legacy applications that staff use, have their own expensive web front end, and the consolidation removes this cost.